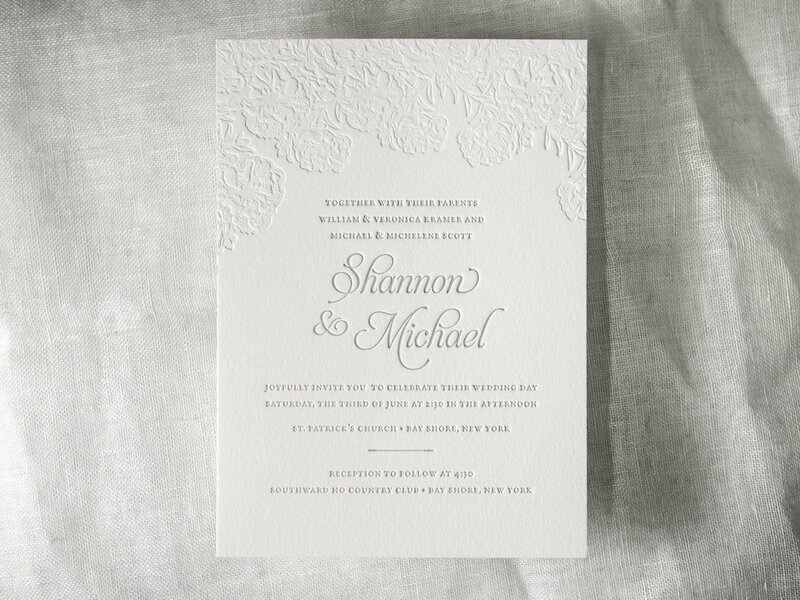 A perfect combination of our Coquette and Fiore invitation designs. Garamond caps and Aphrodite type in Fog ink along with the blind pressed Fiore art. Posted in wedding invitations and tagged with fiore, coquette, fluorescent white, blind deboss, aphrodite, garamond caps, floral, fog, 300g, 600g, reply card, envelope liner, pink. June 6, 2017 by Travis Friedrich.